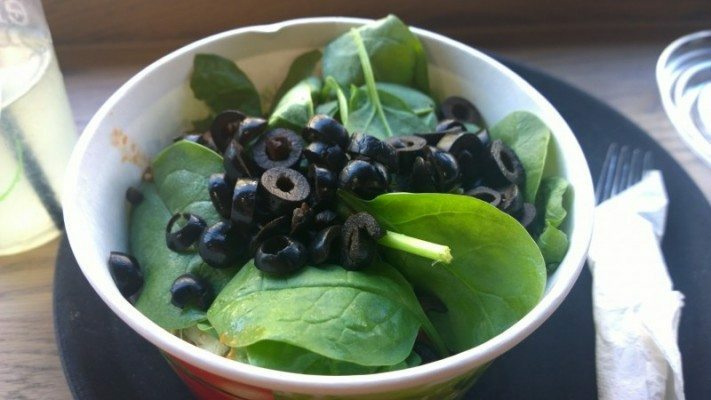 Fresh, Healthy, AND Gluten Free! It was a lovely sunny Saturday in Brighton – a Saturday where there were streams of rowdy visitors and locals pouring their way down from the station. A few of my friends from London where among this bunch, and as they had invited me to meet them down the beach for a sunny beverage, I decided to stop by Eatalio and grab a quick lunch. 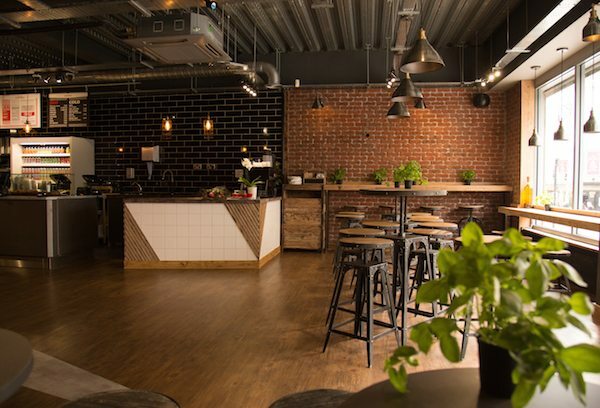 Eatalio is an independent, Italian run street food style cafe, owned by Italian born and raised Amin who wanted to bring a little taste of Italian street food to Brighton. Eatalio’s façade might be mistaken by some as another chain, however as you walk inside you are greeted with dark wooden furnishings designed and crafted by local Brighton company Woodworks, graffiti art on the walls, and a shiny new La Marzocco coffee machine, which gave me the impression that they understand quality and it’s going to be a good place. 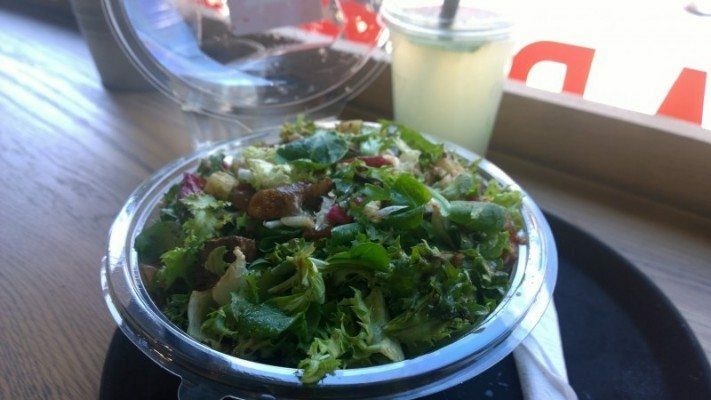 The menu at Eatalio gives you 3 different options to start with – Piada, Pasta Bowl, or Salad Bowl. Due to high demand, Amin decided to experiment with gluten free pasta too, of which they have 3 choices – spaghetti, penne and fusilli. He said that the Italian chef took awhile to master the cooking of the gluten free pasta as it is very different to cooking normal pasta – but as I found out later she had mastered it very well. 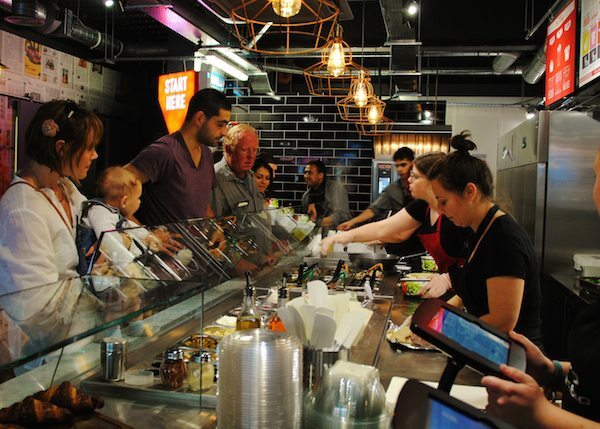 After you choose your base, you can choose your protein, then a choice of grilled vegetables and salad, and top it off with your choice of 3 toppings and your favourite sauce. The staff were very good at informing me which items had no gluten containing ingredients, and I was really looking forward to trying my food! Everything in the deli counter is prepared fresh everyday, including all of their sauces which are made by Italian chefs’ family recipes. Their meat is sourced from Brighton Sausage Company, and they have Italian juices and beers to accompany your meal. After I ordered my food, I grabbed a homemade lemonade from their drinks fridge and went to take a seat. 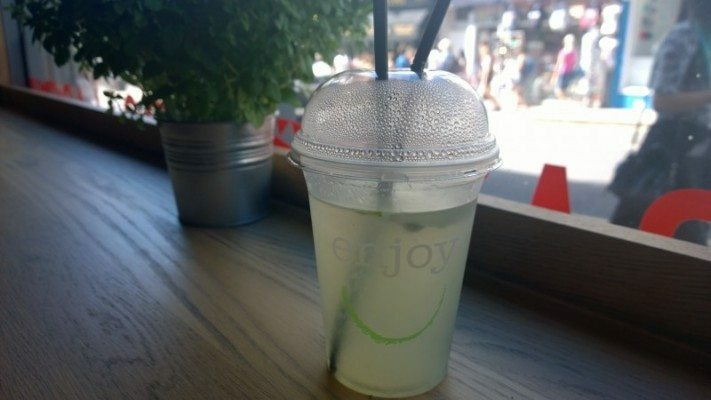 The lemonade was beautifully tart and not at all too sweet, and I happily sipped away while watching the entertainment of Queens Road outside. The gluten free pasta is cooked to order, as it doesn’t keep very well at all if prepared in advance. Because of this there is a longer wait than if you have regular pasta, but it is worth it – don’t worry. Once the pasta was cooked, I went up to the counter to choose my ingredients. 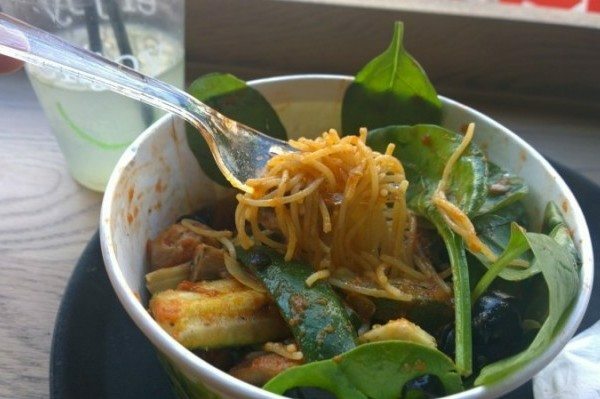 I went for the gluten free Italian sausage from Brighton Sausage Company, the Pomodoro sauce, fresh baby spinach, olives, grilled courgette and mushrooms, and artichoke hearts. 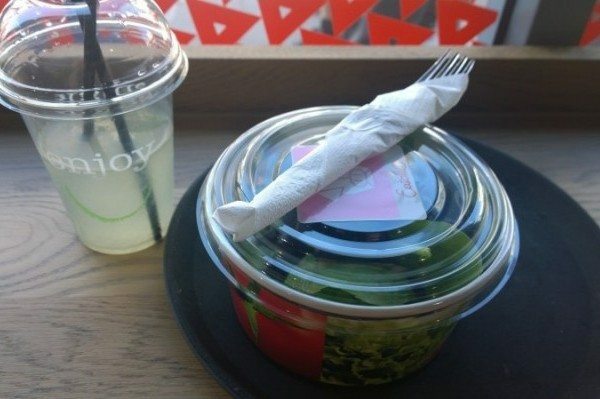 The pasta bowl is served with a lid and plastic cutlery on the side – ready to go if you wanted to takeaway. Perfect for a train journey or heading down the beach… All the components in my dish were cooked really well and obviously with care and love. The pasta was perfectly al dente and not overcooked like it is so easy to do with gluten free pasta. 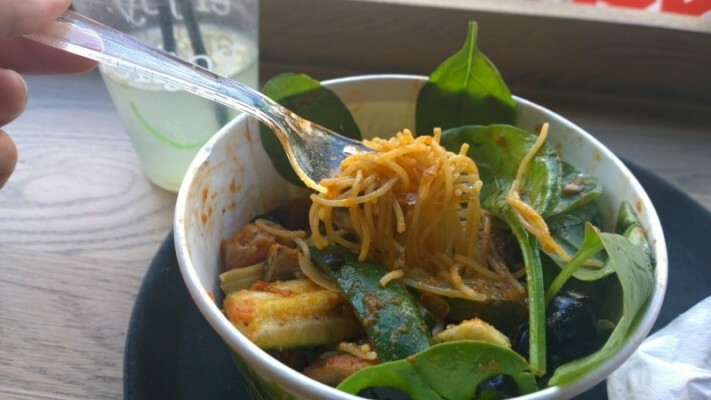 I liked that the spaghetti was thin too – to match the angel hair pasta they serve normally. The courgettes and mushrooms were grilled with olive oil and still retained their bite, and the Italian sausage balls were packed with fennel, well seasoned, lightly browned and generously portioned. I mixed everything together and I was really happy with my choices – they provided a good variety of freshness and warmth to make it a comforting, but light dish. My friend joined me shortly after and chose the marinated British rump steak in a salad bowl – and with the lovely Italian ladies recommendations – hers was delicious too, and very filling! If you are trying to avoid the carbs then this would be a great gluten free option for you. As we were leaving, they were setting up the ice cream maker out the front of the shop. Amin explained they make this to order all the time, and with only a few simple ingredients they are also gluten free. They mix milk with a tiny bit of sugar, then add to the ice cream plate with your choice of flavours, and freeze it right in front of you. 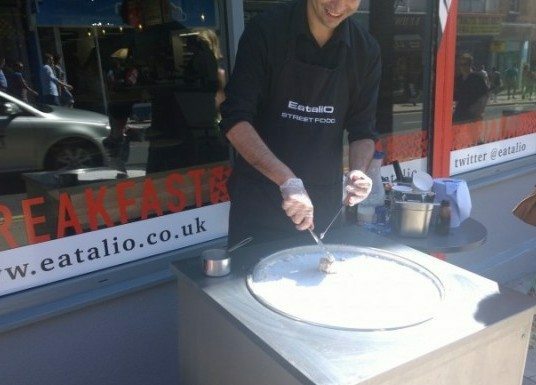 This was causing quite a spectacle on the street, and my friend and I tried a small amount of one he had just made with nutella and banana – it was so creamy and sweet! 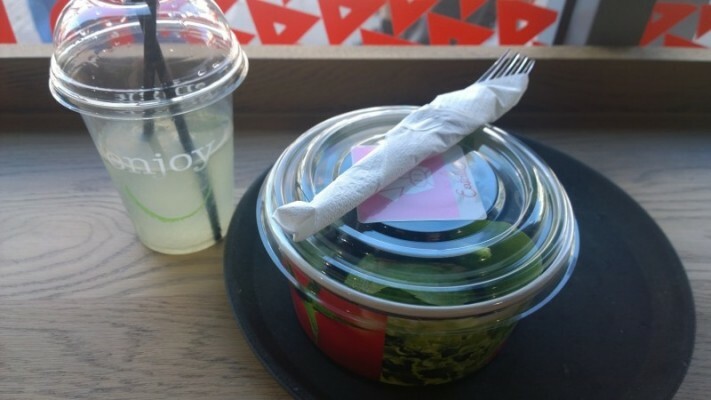 I would certainly recommend Eatalio as a quick, gluten free lunch on the go, if you aren’t feeling like pasta, then the salads will certainly fill you up and are guilt free too! Knowing the passion and local ingredients that make up their products makes me want to keep coming back, and I have already been recommending Eatalio to friends who work near by. Video Masterclass: What is a Piada?